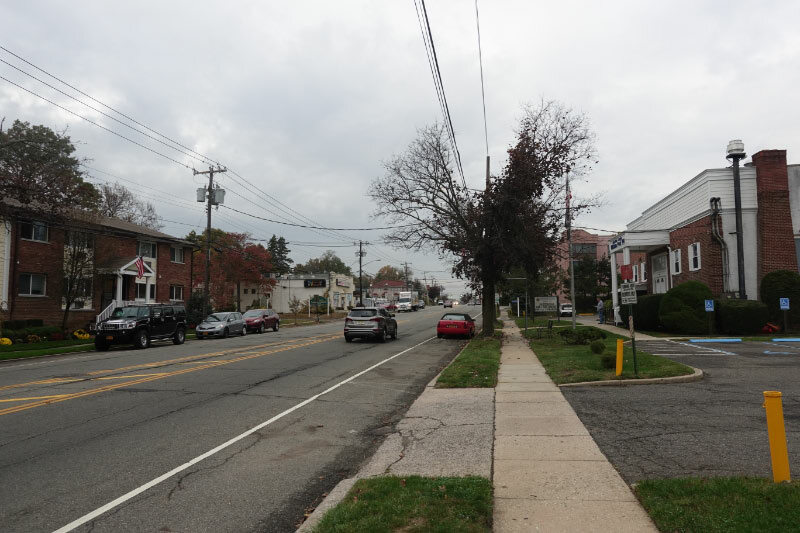 Looking north on the west side of Willis Avenue and south of the Long Island Motor Parkway. Willis Avenue Motor Parkway Bridge located on the borderline of Albertson and Williston Park. What is the structure on the left behind the bridge? The sand pits and buildings for the Searingtown Sand Company in Albertson. The property is now a storm basin. 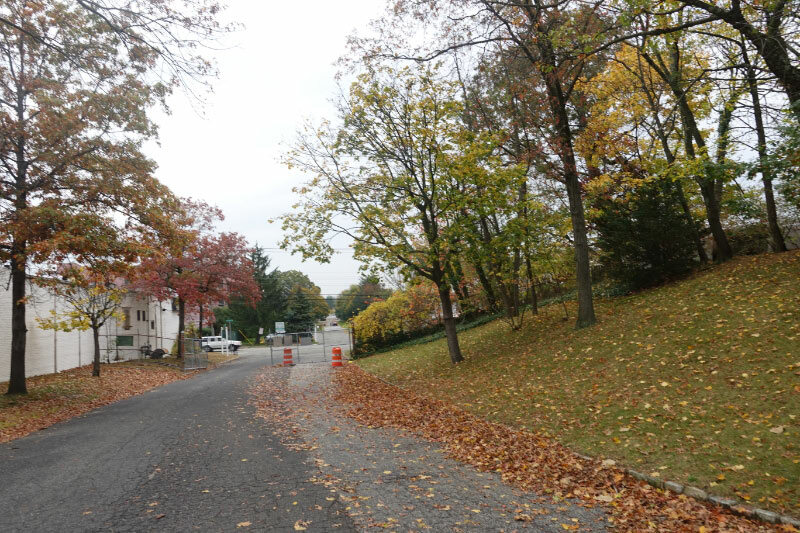 Today, where is the nearest Motor Parkway historic marker located relative to this location? 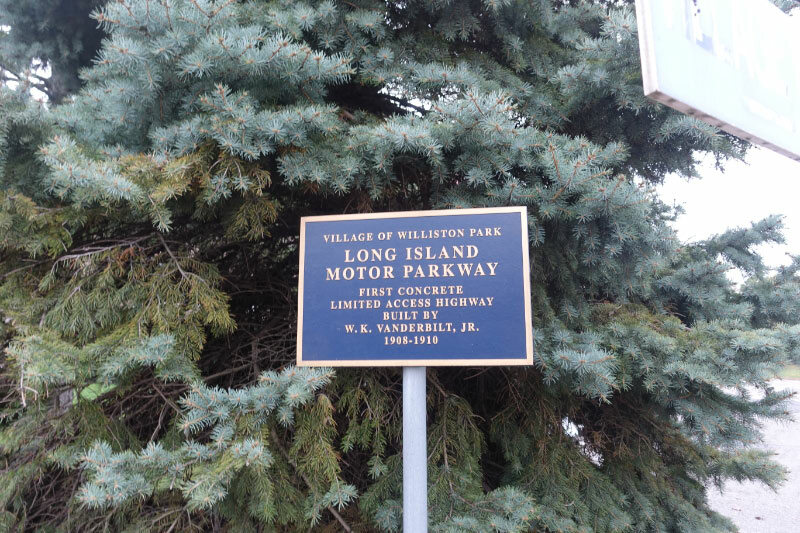 A Motor Parkway historical marker was placed on the east side of Willis Avenue on May 18, 2003. Congrats to Joe Osterle, Frank Mendyk, Brian McCarthy, Greg O., Steve Lucas, Frank Femenias and Tim Ivers for recognizing the Willis Avenue BMotor Parkway Bridge. 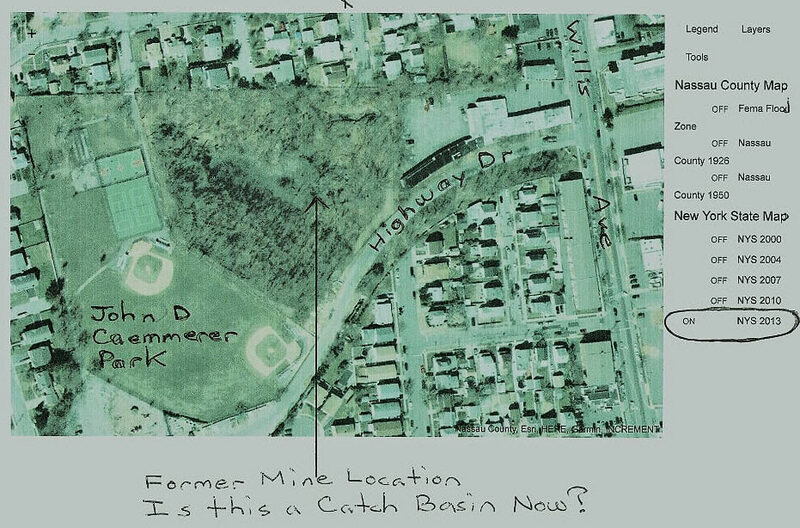 Kudos to Brian McCarthy, Frank Mendyk and Joe Oesterle for identifying the sand pits located in Albertson. 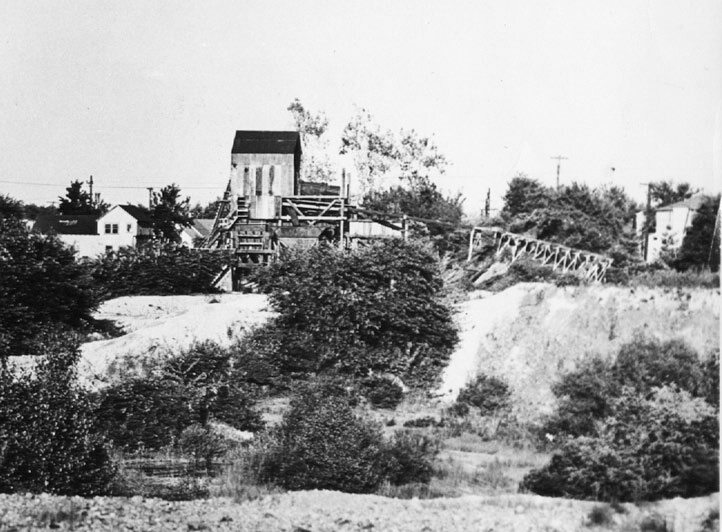 The Searingtown Sand Company can be seen in the background on the left. Approximate location of the Mystery Foto's photographer. On the west side of Willis Avenue, a section of the bridge's embankment is still in place. The sand pits in Albertson. 2013 aerial. Submitted by Brian McCarthy. A large storm basin is located on the site of the sand pits. Then: 1939 Courtesy of Bob and Ruth Valentine. Never Was: What the view would look like if the bridge was not taken down. Willis Ave Bridge. 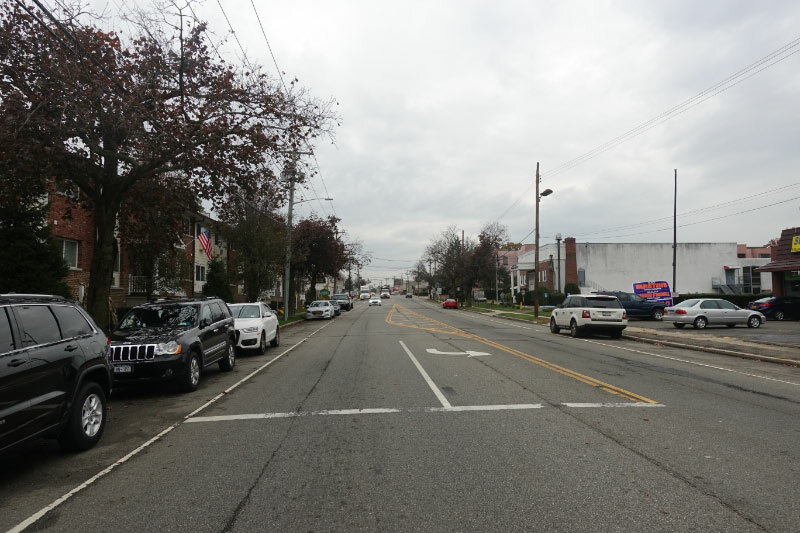 Picture roughly from the corner of Williams Street looking north along Willis Ave. Closest historical marker is on the east side of Willis Avenue, exactly where the bridge crossed. 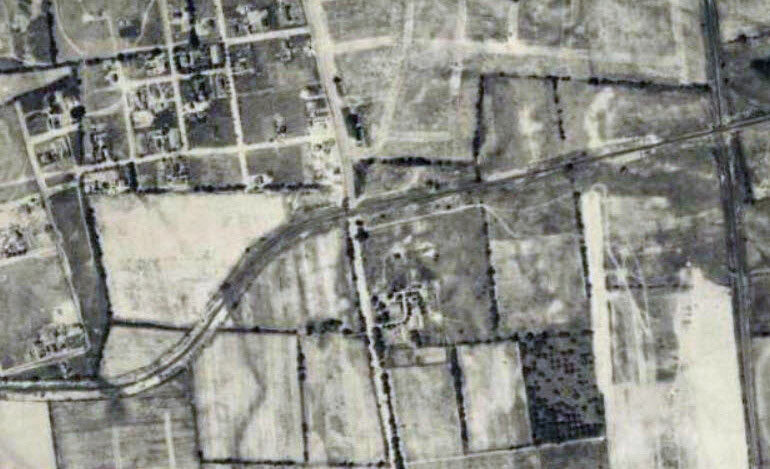 I am guessing on the structure, but where Albertson Park is today was a sand pit and or rock quarry, so that is my guess. 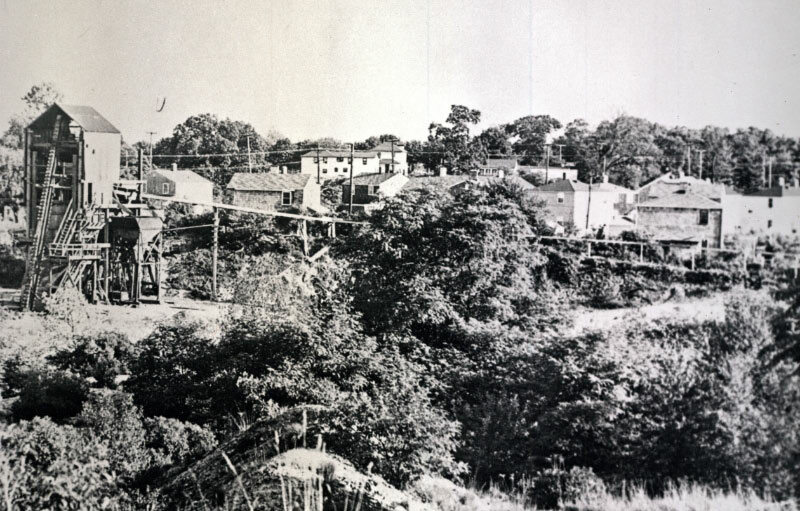 The location of this week’s mystery photo is the LIMP Willis Ave bridge in Williston Park. 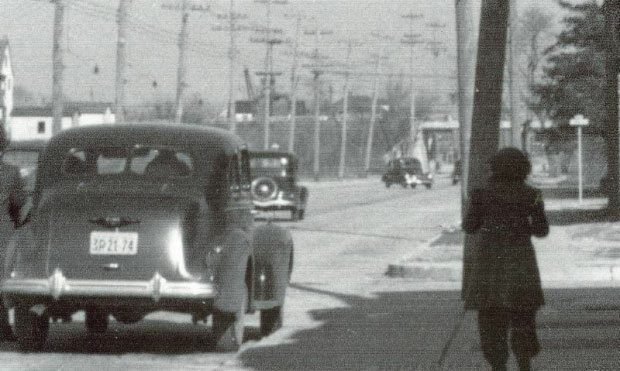 The photo was taken on the west side of Willis Ave just south of the bridge facing north looking towards Albertson.. The structure behind the bridge would be a sand crane/shovel of the Searingtown Sand Company. 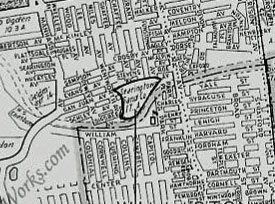 The sand company is where the Town of North Hempstead Highway Department, town park, and storm basin are located today. 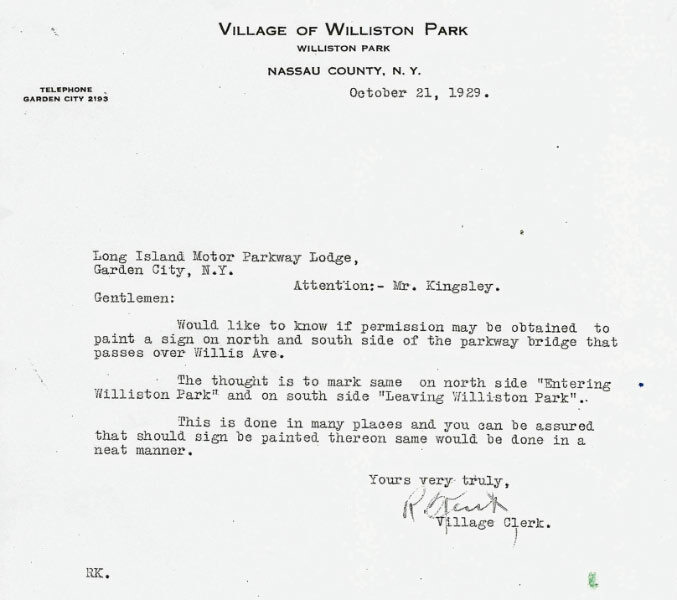 On May 18, 2003, the Village of Williston Park placed a historical marker on the east side of Willis Ave near the old bridge location. The marker was placed by where the east bridge abutment once stood. 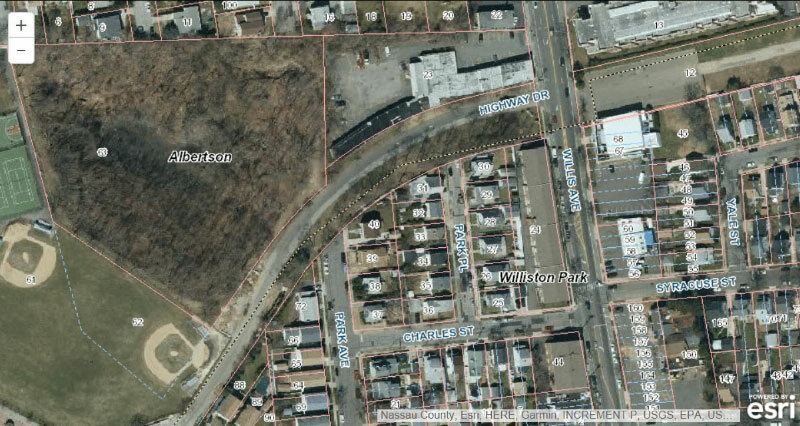 *Exact Location of Foto: W/S of Willis Ave., Williston Park. Guess what I see in front of me are fuel pumps/gas station? 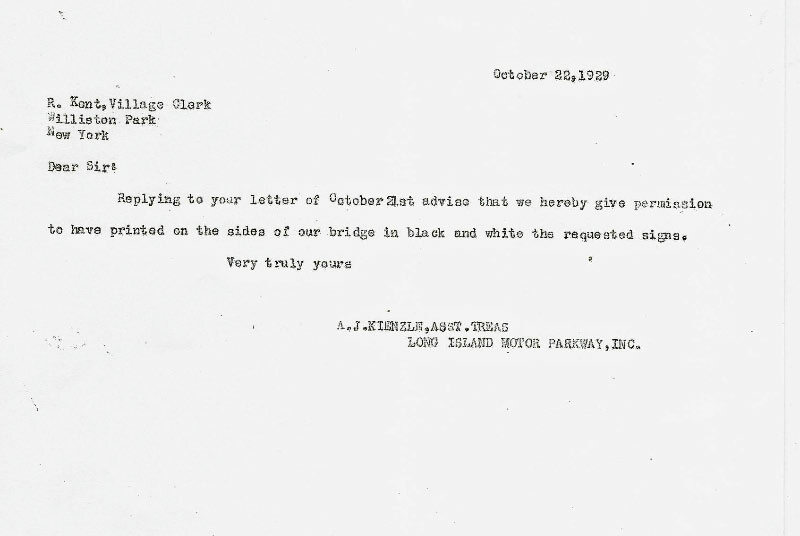 *ID Bridge: Willis Ave. Parkway Bridge. 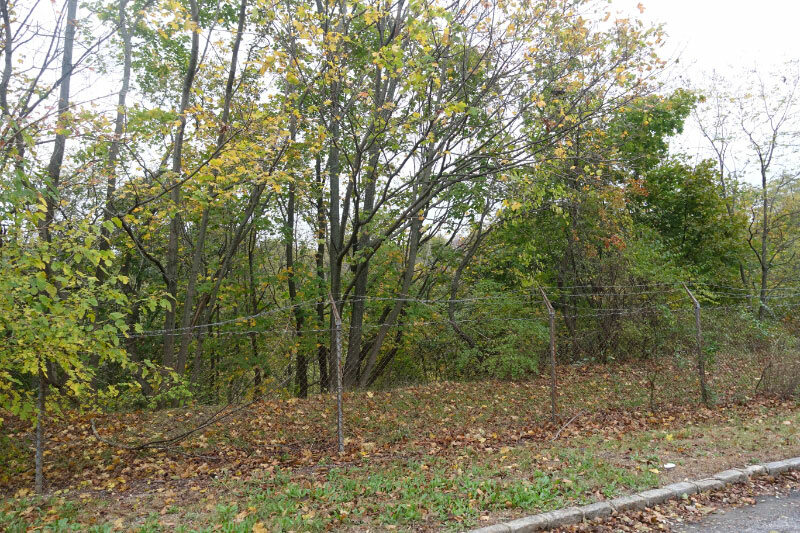 The W/S abutment is visible between the utility poles, the E/S abutment is out of view. 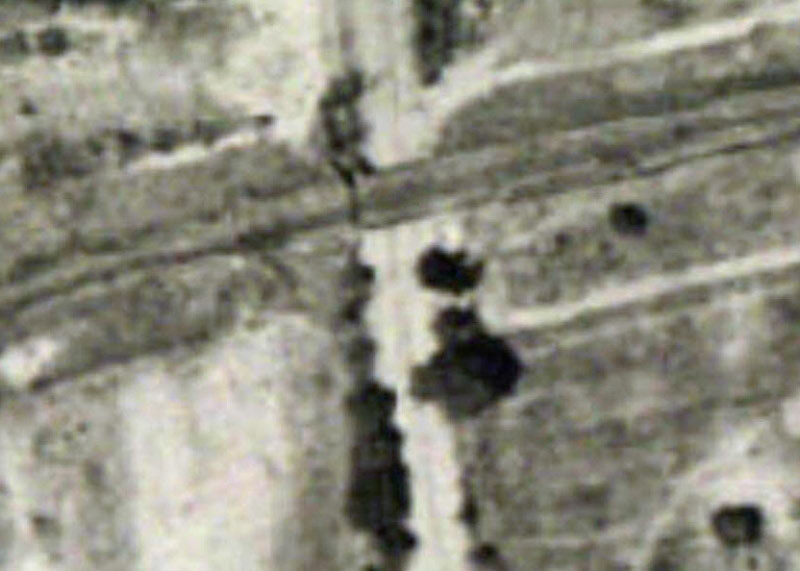 There looks to be a bridge support at the east edge of Willis Ave.
*Tall structure on left beyond bridge: After viewing a 1947 Topo map, “Robertson Gravel Pit” was north of the LIMP. Structure is likely a conveyor for gravel,etc. John D Caemmerer Park is on location today. *Nearest LIMP Historical Marker: On LIMP ROW, e/o Willis Ave. Well preserved roadway leads to Williston Park Village Pool. Looking North on the West side of Willis Ave near Syracuse St.
Unsure. Maybe something from the highway dept? At the bridge site on the East side of Willis Ave. 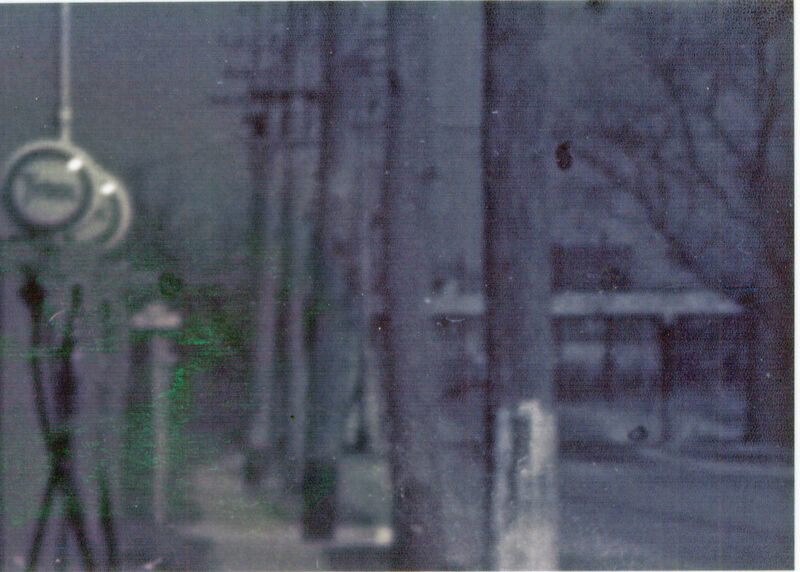 I think the photographer was standing on the west side of Willis Avenue in Williston Park about 2 blocks south of the LIMP looking north at the bridge over Willis Avenue. 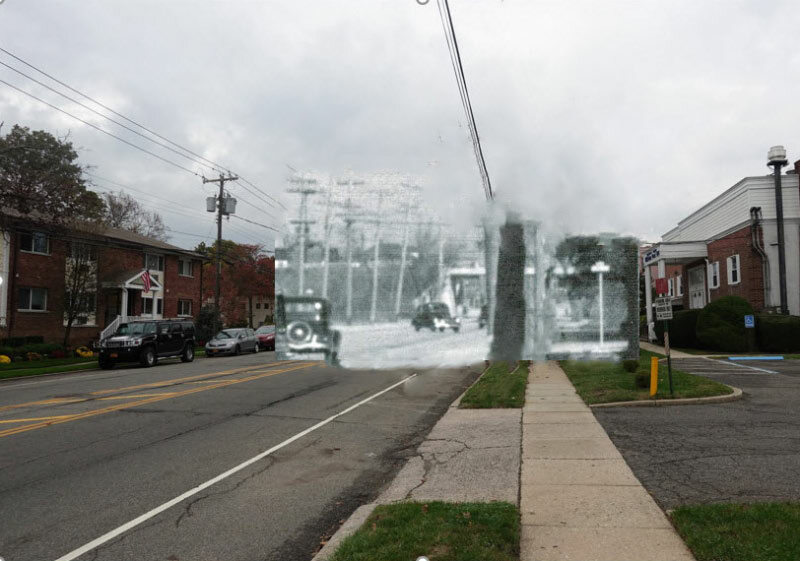 The structure in the left background could be the old Albertson firehouse on Dewey Avenue. 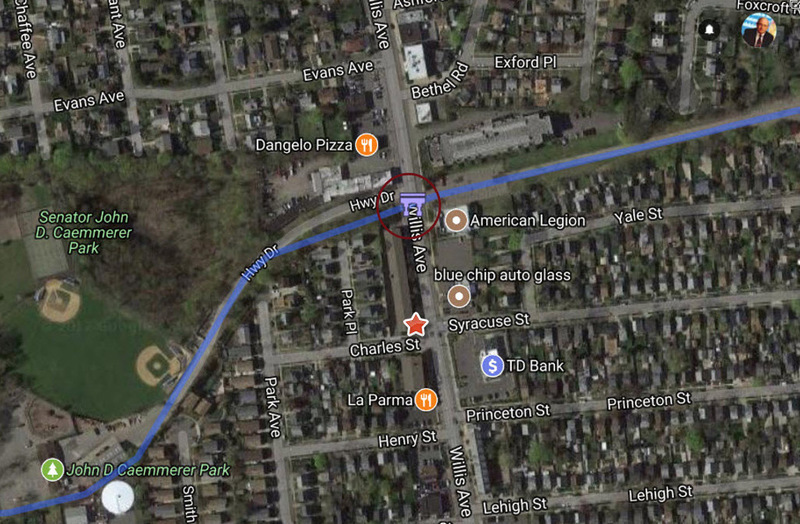 The nearest LIMP marker would be on the east side of Willis Avenue where the eastern bridge abutment had been at the entrance to the village pool. 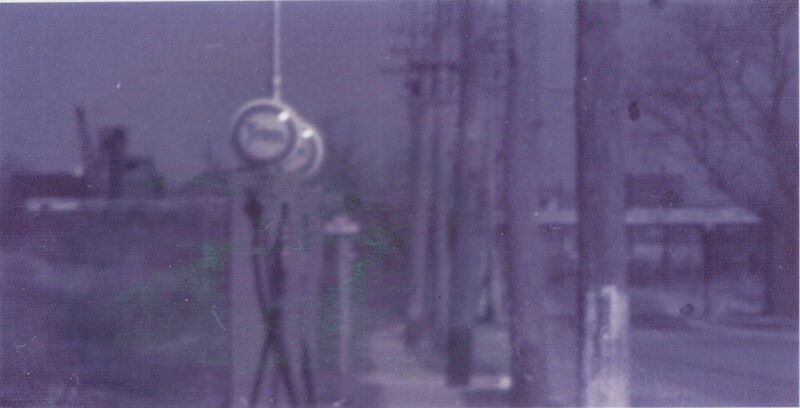 Looks like 2 Tydol gas pumps (blurry) in the foreground. 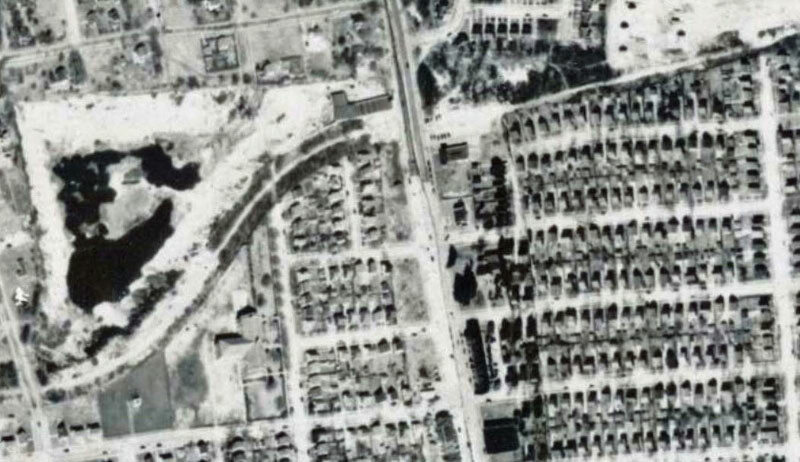 I checked Bob and Ruth’s first ever photo of the Willis Ave bridge looking North in Williston Park. 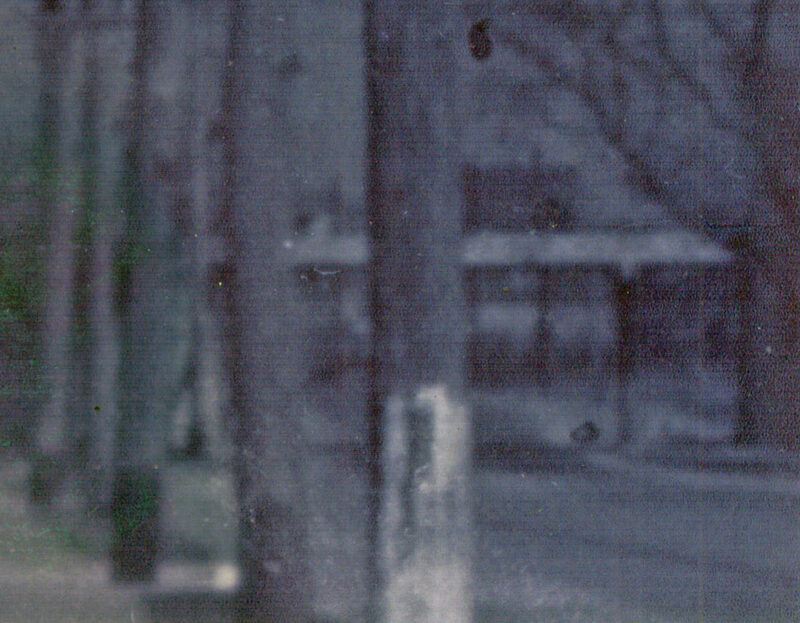 A Tydol gas station does not appear across the street in the photo. Not sure of the “crane” behind the bridge. If this is Willis Ave, this is the second only photo of this bridge. Looking north on Willis Avenue in Williston Park/Albertsons. The LIMP overpass is visible and behind it on the left in the distance it appears to be a construction crane which might be part of a sand mining pit which used to be there, owned by the Wheatley Hills Land Company. The historic marker is on the right (eastern ) side of Willis Avenue under where the bridge used to be. Liking the “Never Was” creation. Would be a lot of fun driving through that time portal. Have a Polaroid ready to go and leave ASAP before the portal closes! I like that “never was” photo, would like to see more done that way. Looks like a past dimension,,,, (to enter)?